With the spirit of champions and the power to conquer, we are an unstoppable force. There's nothing that can stand in our way. It's easy to be better than the rest. It takes a winner's attitude to be better than the best. The world is our playground and we move beyond the normal. Unless you have what it takes, you should NEVER CHALLENGE A ROADEO! 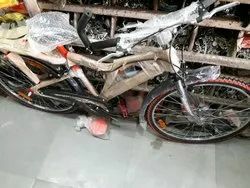 We are dealing in Hercules Roadeo Yago Bicycle, Also providing product on EMI basis. 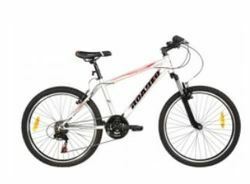 Hercules Roadeo A 500 26X18-21Speed Male Bicycle.